It's official, the Government is going to dump Welspun's bid citing the grant that they had asked for to operate the port for the next 30 years. On one hand, one wonders why there's so much stinginess at paying out a few hundred Crores when there is no concern whatsoever for splurging over 120,000 Crores of the same taxpayers' money on a white brontosaur of a bullet train project or when there are no compunctions about handing out multi-hundred Crore contracts without even the formality of a bid! Of course, it seems that the regulations have to be followed down to the "T" only in the case of one district, which sadly for its sake happens to be the Capital of the State! That said, considering the fact that the Welspun consortium seems to be extremely conservative in its expectations of the potential of the project and more interested in the EPC contract than in port operations (understandably so, since the consortium is comprised of three civil contractors, nary an port operator in sight! ), it may not be in the project's best interests (and not of the city or the State) to hand over a greenfield mega-project which needs an aggressive and capable operator to a half-interested-at-best entity. Of course, the Billion dollar question now is what next? A re-tender is what seems to be the default (and least effort intensive) option for the Government, although a more pro-active G2G effort may yield better results. In either case, the need to update the market study and master plan of the project becomes paramount. Considering the time taken to reach this underwhelming and anti-climactic conclusion to the latest bid process for the project as well as the reason for the said conclusion, one almost wishes that Welspun had called in the services of the one man who can get anything done in Kerala (from bullet trains flying on magnets to trash disposal), thus convincing the current Government of the need to dispense with trifling formalities such as a bid! About a decade ago, a study conducted by L&T Ramboll on MRTS possibilities for Trivandrum and Ernakulam suggested that an MRTS be implemented in the State Capital. Keep in mind the fact that the city was about half its current size and population at that time, and this was before Technopark, Technopark or Vizhinjam. Then in 2006, DMRC (or Sreedharan & Co) prepared a report that vetoed an MRTS in Trivandrum and proposed one in Ernakulam, even though both cities were of the same size and population (if at all, Trivandrum was already the bigger Corporation). DMRC recommended suburban rail services. In June 2009, a Bus Rapid Transit System, believed to be more suited for Tier II cities, was approved in principle in Trivandrum. This sank without a trace even as cities such as Ahmedabad and Indore successfully implemented it. After a couple of years of slumber about mass transit in Kerala's biggest and fastest growing city and IT hub, the new Government announced plans to set up a monorail MRTS in Trivandrum and asked NATPAC to prepare a preliminary report. At this point, E Sreedharan who has abruptly retired from the DMRC and has wrangled a position as advisor to the Ernakulam MRTS project, is of the opinion that monorails are suited only for amusement parks despite hundreds of kilometers of operational monorail-based MRTS in cities across the world. However, as the feasibility report for the monorail in Trivandrum is under preparation, Sreedharan's opposition to the monorail starts to mysteriously vanish and he starts supporting the monorail project in Kozhikode. 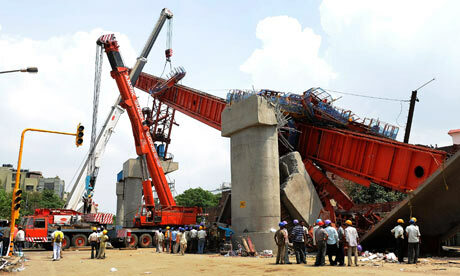 The feasibility report for the monorail project in Trivandrum was approved on March 1st. The 42 Km route stretches from Technocity to Neyyatinkara and is planned to be implemented in two stretches, from Technocity to Thampanoor and then onwards to Neyyatinkara. Although NATPAC pays lip service to feeder bus services, there is no talk about further routes or about an integrated transportation system. Thereafter, the project vanishes into the depths of the bureaucracy and nothing is heard about it for months. In the meantime, a MLA from Malabar becomes Transport Minister and our Metroman takes over the Kozhikode monorail after smoothly swallowing his avowed skepticism for the technology. Soon after, he is found sniffing around the much bigger project in Trivandrum (in fact, in route length and cost, it's the biggest MRTS project in Kerala). Despite the fact that the gentleman had been loudly proclaiming the fact that the capital city doesn't deserve an MRTS and that monorails are meant only for Disneyland, the reins are happily turned over to him in May. The reason? Sreedharan is acting as an "advisor" or a sales agent for DMRC which charges a whopping 8-12% of project cost as its consulting fee or commission! For the Rs 5500 Crore Trivandrum MRTS project, this means anywhere from Rs 450-660 Crores and all without even the pretense of a tender. A tidy sum for a retiree working from the comfort of his wife's house in Ponnani (yes, hundreds of kilometers from any of the project cities!). Not only is awarding a contract of this size without a tender ludicrous, so are DMRC's consulting rates which easily exceed those charged even my global firms such as AECOM, PB or Bechtel. Even more so, since unlike any of these giants with experience in hundreds of projects across the world, DMRC has no experience....absolutely zilch...with monorails. In the meantime, the formation of the Special Purpose Company that would execute the project, just like VISL does for the Vizhinjam project, has gone nowhere and to add insult to injury, it turned out that Rs 190 Crores allotted for the preliminary road improvements (from Ulloor to Kazhakkoottam) necessary for Phase I had been "temporarily diverted" to the Kozhikode monorail project. Oh yes, and the Minister apparently decided on a whim that the monorail would be extended to Varkala, about 30 Km to the North. At least he can be forgiven for not knowing the difference between urban transit and commuter rail. And then to add to the confusion, the right honorable Metroman opined that instead of the monorail, the Trivandrum MRTS should be a higher capacity "metro" and not just any ordinary metro, but one that uses magnetic levitation. He even very conveniently lined up representatives of the Korean Hyundai ROTEM consortium to make a pitch on this highly untested technology. Magnetic levitation propulsion is valued for its high speed capabilities but is complex, requiring super-strong magnets to suspend the train above the guide-rail, thus eliminating friction. It has been used on experimental tracks and on a few showcase routes such as from Shanghai Airport to the City Center. With its high speed, maglevs seem more suited for longer distance, city-to-city routes than on intra-city routes, where stations are hardly 0.5 to 1 Km apart. It's common sense that a MRTS train cannot exceed a certain acceleration/deceleration profile to avoid discomfort to its passengers, unless all of them are onboard to enjoy roll-coaster thrills!! In any case, bringing in an untested technology is a sure-fire way to delay the project indefinitely. Sreedharan tried the same trick in the case of his pet project in Ernakulam but was thwarted by the officials in the SPV. In short, we are in a fine soup indeed! The project doesn't have a working structure yet as the SPV is still in limbo. That needs to be formed first and given a clear mandate, funding and a competent staff (easier said than done!). There is talk of having a single SPV for both the Trivandrum and Kozhikode projects, which is a horrible idea because the two projects are very different in scale, complexity and locational context. It reminds one of the way in which separate SPVs were not formed for the JNNURM buses allotted to Trivandrum and Ernakulam and how funds from the former were used to subsidize the latter and both had to be operated at the same fares, even though the buses in Trivandrum had greater subsidies from the Central Government and hence a lower cost of operation. No, we need separate SPVs for the two projects. And the SPV for Trivandrum should be given the freedom to choose a competent consultant or consultants, not have any agency stuffed down its throat because a celebrity advisor comes free with it. A) The SPV needs to bring on board management consultants to understand the best development model for the project. Currently, pure Build-Operate-Transfer has been mooted, which is unlikely to work for a public transit system and that too in a Tier-II city. Other options such as the hybrid landlord-operator model being used in the Vizhinjam project or the public funding + development institution debt model being used in Delhi, Chennai or Ernakulam need to be considered. With JNNURM-II promising financial assistance for MRTS systems, this is much easier than before. And anyways, why would the State Government only use tax-payer money to pay for one city's MRTS and expect the private sector to pay for the other two. As we like to say in Kerala, everything should be equal, right? B) The SPV also needs to float a global-tender for technical consultants with actual experience in various MRTS options such as monorail, light and heavy rail systems to first of all conduct an independent study on the best choice of technology for Trivandrum as well as to revalidate the traffic study, with a view to create a multi-route network. If Sreedharan & Co are left to their work, we will probably end up with a Find-Replace-Copy-Paste version of the report they prepared for some other city in the past, with Trivandrum suitably inserted. DMRC did precisely this for the much-trumpted initial report for Sreedharan's other pet idea, the bullet train, where the report had clear traces of having been "adapted" from the project report of the Jaipur Metro! With his obvious focus on the Ernakulam project, it's most likely that Trivandrum will languish in the files indefinitely. Moreover, the skeletons are beginning to tumble out of DMRC's cupboard, the biggest one thus far being the shutting down of the flagship Delhi Airport Express line because of a drastic failure in construction executed by DMRC, including the failure of no less than 91% of the critical bearings that support the line itself on its support piers. While this glaring and potentially lethal failure in construction was detected by the line's operator, Reliance Infrastructure, one hopes that more dangers do not lie hidden along the rest of the Delhi Metro network. It may be recalled that the Comptroller and Auditor General of India had harshly criticized DMRC's quality control measures in a 2009 report, a report that the Government managed to stop from being tabled in Parliament. Shortly after the report was made, one of the deadliest accidents to hit the Delhi Metro had seen an entire span collapse, killing five people, one of many accidents in the project, that resulted in a total of 109 deaths in Phases I and II alone. When one begins to consider disturbing facts like these, the facade of invincibility around DMRC vanishes very, very quickly. And this is the agency that we want to trust blindly with a technology, namely monorails, that it has no experience with?! With all due respect to E Sreedharan, one cannot depend on just a single individual, even if we ignore the fact that he is pushing 80. What happens if this individual is not able to perform his duties for whatever reason, will DMRC be abruptly replaced or the project terminated, after spending thousands of Crores of public money? That said, the scariest part is that this Government has committed itself to a plethora of massive infrastructure projects - the Rs 8000 Crore Vizhinjam port, the Rs 5500 Crore Trivandrum MRTS, the Rs 5000 Crore Ernakulam MRTS, the Rs 3000 Crore Kozhikode MRTS and the Rs 2000 Crore Kannur International Airport, not to mention the grand-daddy of white elephants, the Rs 120,000 Crore bullet train! The awful realization must be starting to dawn in various high places that these projects, even after excluding the bullet train fantasy, would need the State Government to pump in close to Rs 10,000 Crores as direct investment in the next 3-4 years if all of them enter construction. Which is a lot more than the shaky Treasury can afford! The State's debt load just hit Rs 87,000 Crores (well over 70% of annual GDP! ), having soared by over Rs 10,000 Crores or over 14% since the current Government took office in May 2011. So, I suspect that the current strategy may be to slow-pedal some, if most of the projects, so that the ones that have the right political backing will get whatever limited funding there is. The rest, well the rest can wait for better days. And anyone who understands the current political clout of the capital, or rather the evident lack thereof, would not bet on Vizhinjam or the Trivandrum MRTS being anywhere but at the bottom of the priority stack. Maybe that's why re-tendering in the case of the first and testing out new technologies for the second are very convenient indeed?! The one thing that is clear - neither of Trivandrum's so-called "dream" projects is making any real progress. Without urgent, strong, pragmatic and pro-active intervention from its elected representatives and the general public (no, I am not calling for a lynch mob, not yet anyway! ), it's unlikely that any progress can be expected any time soon! Especially not unless our legislators and Government can find more to agree on besides this!!! Well Said Ajay, Govt is just sitting on the trivandrum proposals. 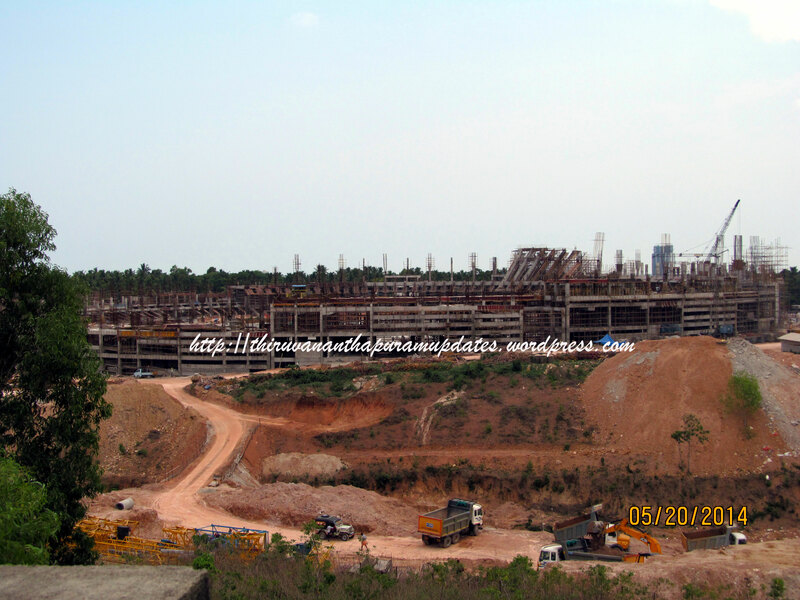 We all know what happened to the Shipyard Project proposed at Vizhinjam. I don't want to be negative, but very sad to say that I lost faith on both political wings. See the time they have taken to say 'No' to the global tender for Vizhinjam!. I don't have any hope at all!! !